ps)and very nice way to incorporate natalie's brooch! apoluth armonia .....dn exw logia gia to pu topothethses thn karftitsa fantastikh idea ! teleia olaaaa eisai monadikh !an epitrepetai ti foreses apo panw ? kapartina? palto ? ti xrwma? Ti uperoxes fotografies...8elw na xereis oti molis eida auti tin karfitsa, ennoeitai tin pariggeila kateu8eian! I love 'em all, pics, clothes and accessories! great one! wow, this is 100% perfection girly. Mou arese poly o syndyasmos twn hrwmatwn! Poly stylato outfit k tautohrona aneto, bravo, Lopi!! No need for words! The photos say it all. 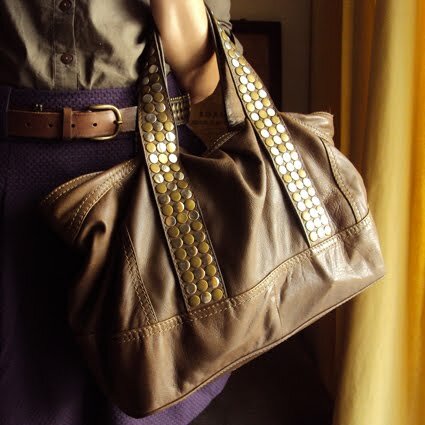 I love your accessorizing -- meticulous!!! Heeey i just found your blog, im an architect, i believe you are one too. And actually just started a blog about fashion (male fashion that is) would love for u to stop by. Mairyliscious, I wore this outfit with my trusty, old, raggedy black Zara trench coat, and on that day it started falling apart... :( Nothing some good old needle and thread can't fix though! 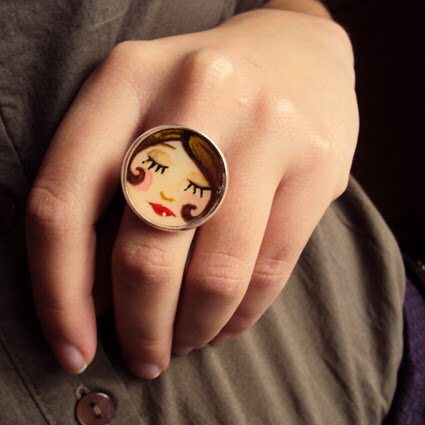 Oh, and the girl's face ring by Polindim was actually a present from my best friend for getting my degree. She's the greatest! No worries girl! That's what happens when you love a garment too much: you wear it to pieces! I love the skirt. and its belt. and the men's shirt. and the ring. and the bag. I love everything! thats such an amazing post! i love the color combination and the details! 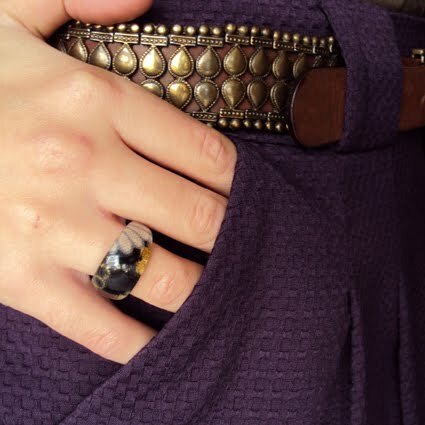 the ring, the brooch in the skirt....just loved it! great outfit and detailing, and the great photos did it justice! poly omorfo outfit!ta xrwmata einai yperoxa opws k ta ajesouar! Great Etsy details - gorgeous! oh my...i love every pieces you wear. 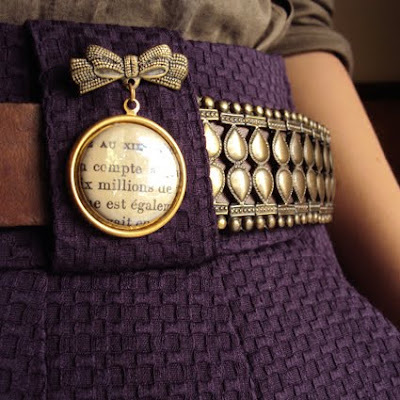 the purple skirt, the belt, the ring, the bag. everything! and you wear them really well too! I will return here often.